The COBB Tuning Adjustable IWG Bracket is the first of its kind, and the most versatile and reliable way to keep a turbocharger's internal wastegate closed when using an external wastegate setup. 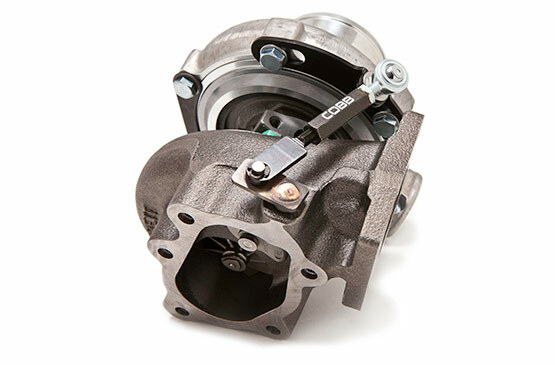 The Adjustable IWG Bracket can be installed quickly, adjusted for perfect fitment on many different turbos, and can be removed just as easily to return a turbo to its original configuration. The COBB Adjustable IWG Bracket replaces the internal wastegate actuator and locks the wastegate in a fully closed position. This is a superior solution to welding the wastegate door closed, which is a time-consuming, expensive and irreversible process. The COBB Adjustable IWG Bracket is easy to install and bolts into place and adjusts quickly using simple hand tools. Not all turbos are made exactly the same, and there can be variations in housings, center cartridges, clocking, etc. A single position internal wastegate bracket may not accommodate these variations and fail to close the wastegate completely, which will result in poor turbo response and lower maximum boost. 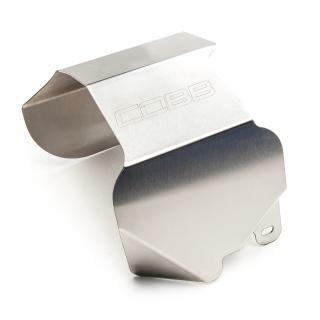 The COBB Adjustable IWG Bracket takes the worry of turbo-component variance out of the equation and allows proper adjustment, every time, on a variety of different turbos that a non-adjustable internal wastegate bracket simply cannot match. 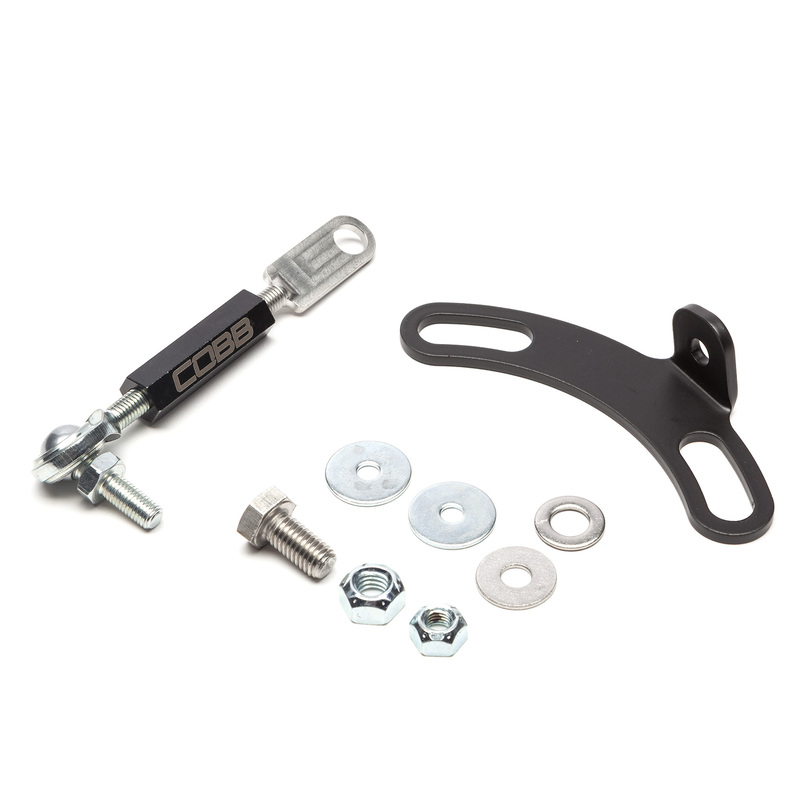 The COBB Adjustable IWG Bracket's advantage lies in its unique adjustable rod-end linkage. The turnbuckle center section features right-hand and left-hand threads to make adjustment as easy as rotating it one direction or the other to shorten or lengthen it. 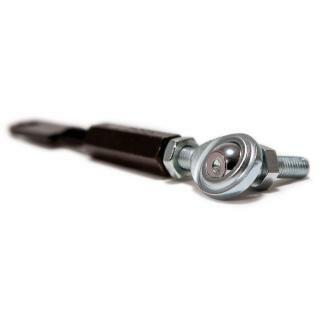 The rod-end linkage and through-bolt allow high misalignment for maximum adjustability. The bracket itself is made from a single piece of 11-Gauge steel and incorporates slotted bolt holes for additional adjustability and turbo compatibility. The custom spade-bolt that connects to the wastegate arm, the bracket, and the turnbuckle are black zinc coated for an attractive finish that is corrosion resistant. All hardware for install is included in this kit. 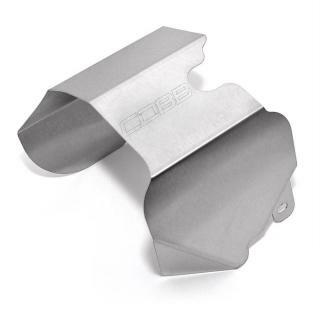 The COBB Tuning Adjustable IWG Bracket offers maximum turbo compatibility, simple installation and is easily adjustable to ensure complete wastegate closure to get the maximum performance from your specific setup. In the familiar words of our dads, "Make sure you shut the damned door!" This innovative internal wastegate bracket keeps the wastegate locked down tight with the ability to adjust the length of the bracket. This adjustment accommodates tolerance variances between turbos as well as allows this bracket to work with a number of different turbos. Adjustable IWG Bracket - Short is rated 5.0 out of 5 by 4.